Your early holiday gift is Riddo, a chick in a box. Compile Heart has released the debut trailer and official screenshots for Chou Megami Shinkou Noire Gekishin Black Heart. 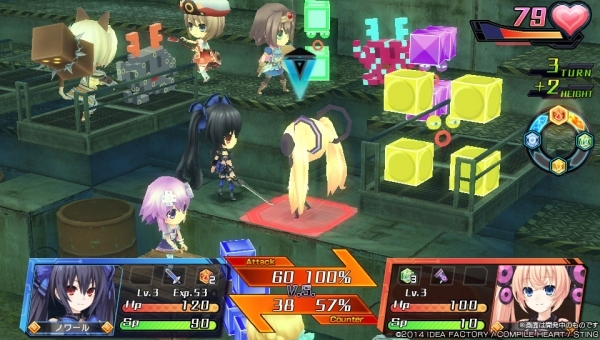 The game, coming to PS Vita in Japan on May 29, different from the mainline Hyperdimension Neptunia franchise, is a simulation RPG developed by Sting. Watch the debut trailer below. View the screenshots at the gallery.